OK, so I don’t only take pictures of cupcakes. It may or may not be food-related, but every once in a while “random foto Friday” will feature a low-calorie shot I captured around town during the week. Spotted a bit of randomness yourself? Drop me a line to submit a photo. 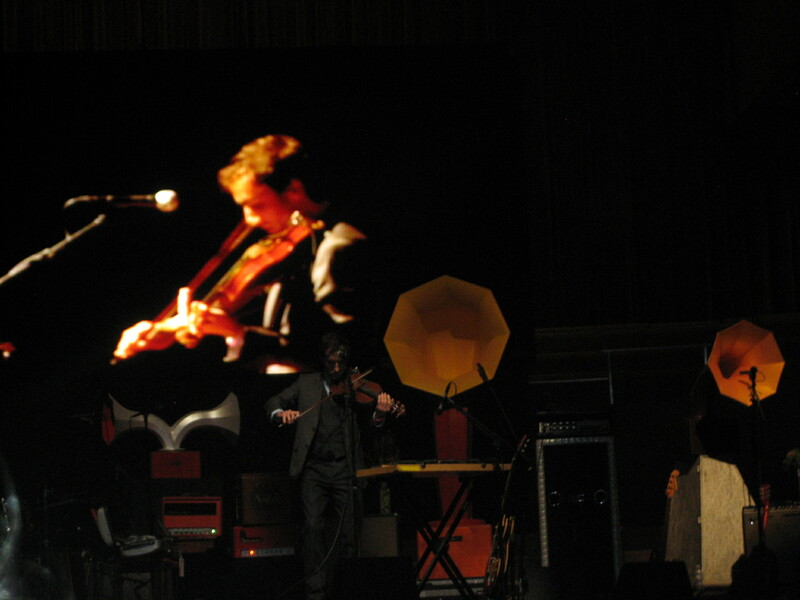 Here’s a shot of Andrew Bird’s spellbinding performance at Millennium Park’s Pritzker Pavilion this week. Don't let the projection fool you, look closely to spot Bird and his video image.